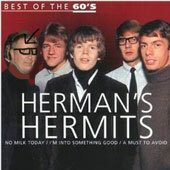 ...of UNIT FOUR PLUS TWO and HERMAN.S HERMITS???? When we parted I moved on to form a band with Dave Atha on guitar (ex East of Java), Chris Taylor on Bass and his brother Mark on keyboards( ex Jimmy James and the Vagabonds). The band, Boulevard built up a good reputation throughout the North of England. We won an award from the clubs in the North East, and regularly toured around the country including Ireland. (We spent a few very hairy nights in Belfast once, entertaining the troops). We also worked on a second set with a harder edge so we could work the College circuit and showcase our own songs .I had some great times with these guys but like all good things it had to come to an end. After Boulevard, I went back into the big world of a proper job but couldn`t resist the temptation to gig ,and once again i hired myself out as a dep with various bands such as Mysty Gyn, Tails of Woe, Black Orchid, Titas Aduxas (great name), Vine, and Pointblank to name but a few. (Apologies to any bands I may have missed!). With some of these bands I found myself abroad again in Germany and Holland. Also around this time I got involved with an agent who promoted 60`s Revival Shows around the country, and on various occasions I was part of Unit Four Plus Two, The Casuals, Herman's Hermits and The Ivy League. Once again the urge to get behind a regular band got to me and I found myself auditioning for bassist Alan Selway (ex Vardis ) and his band Pass The Buck - along with guitarist Matt Exelby who went on to play with ex Queen drummer Roger Taylors` band and Eddie Jordans band V12 which follows the Formula One circus around the world. I joined them at a point when they were getting bored with club life and looking for a new direction so with the addition of Frank Lee (ex Factory ) on vocals we converted Pass the Buck to Spider Jive. 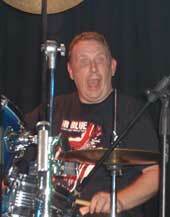 Spider Jive moved away from the W.M.Clubs on to the rock circuit, doing bikers gigs , festivals ,and rock clubs. When Matt left the band to join Mr Taylor, god knows why, he was replaced by Castlefords' very own Paul Atack - you couldn`t even see the join. There followed support gigs at places such as the Duchess and the Irish Centre with The Steve Gibbons Band, Paul Lamb, Bay City Rollers -(Woody and Stuart) (they were really naff!) and the late Steve Marriott among many others. With the demise of Spider Jive, Alan moved to New Zealand, Frank bought a bar in Ibiza and Paul took up cruising on the QE2. Me? 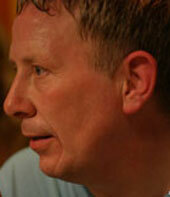 I went into a sort of semi retirement for a short while, concentrating on my proper job.